Browse through Blush Kids Luxury Couture of Adore Me Collection of first communion dresses, and we promise, you would have no regrets! We know that sometimes Moms may have a very tight budget, especially if you have more than one little girl that you have to dress up for a special occasion. But, don't you worry, because here at Blush Kids, we would like all parents to be happy when they shop with us. 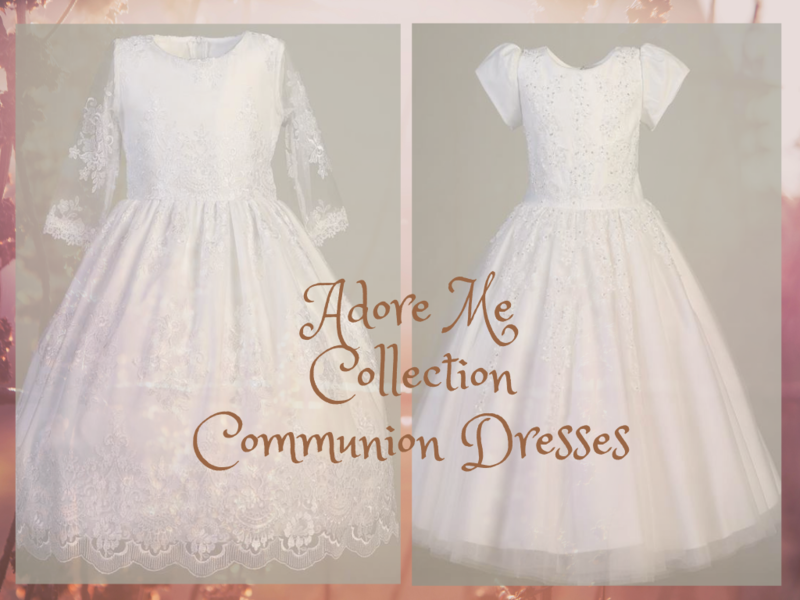 So, we are confident that you would love this collection of Adore Me first communion dresses available to you in different styles and sizes. Most of these dresses also are available in other colors to fit every special occasion need your child may have. Blush Kids is pleased to have you as their customer and so if there is anything we can help you with during the course of your shopping online with us, please give us a call or email us with any questions or concerns you may have and we would gladly assist you. Most of the time our our first communion dresses are in stock and available to ship directly from our supplier's warehouse at a minimal fee. This option eliminates all the stress and gets your child's dress to you in good time before your event date.